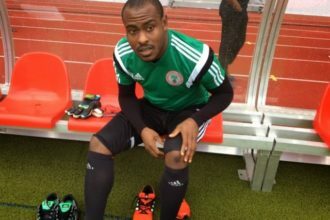 Super Eagles coach, Sunday Oliseh has broken his silence over the recent row with Eagles goalkeeper, Vincent Enyeama. The goalie reported late to the camp in Belgium two days ago and was forcefully sent out of camp. The super Eagles Prepare to play an international friendly in Belgium today. Vincent Enyeama who has notched up an impressive 101 caps for the Nigerian National team has been dropped as the team captain. Sunday Oliseh has handed the captain band to Ahmed Musa instead. Oliseh attributed his decision to a lack of discipline on Enyeama’s path, ‘’I want a captain who is disciplined. A leader who can motivate other players. A player who comes to camp early. I want a young player not a retiring player as captain. And Ahmed Musa is that player. 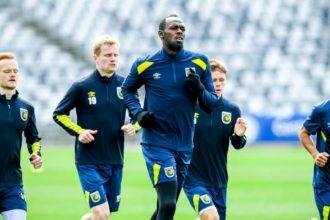 He is my captain’’, Oliseh said. He added, ” As a coach I have looked at the team and I have looked at Nigeria going forward. We need a captain who will think of staying with Nigeria for several years to come, who is regularly in the front. And Ahmed Musa did a great job for us in Tanzania under very difficult circumstance. He is a very responsible player and he is the captain of the team. So he is the captain of the team, there is no question of a tussle.